Suicide is a leading cause of death among college and university students in the United States. In addition, many other college and university students have suicidal thoughts and attempt suicide. Suicide and suicidal behaviors are a major concern for colleges and universities. As caring and committed professionals, what can do to prevent suicide? How do we use our resources most efficiently and effectively? How can we promote mental health for all so that fewer people will be at risk? The Campus Suicide Prevention Resource Center is designed to help campus planners address questions like these. The Center's mission is to reduce risk for suicide across Virginia's higher education settings by providing campuses with training, consultation and prevention resources. 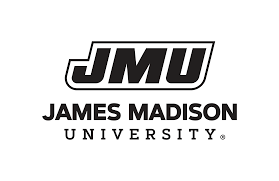 Services are available at no cost to all Virginia college and university campuses and are provided through a partnership of the Division of Injury and Violence Prevention at the Virginia Department of Health, the Substance Abuse and Mental Health Services Administration and the Institute for Innovation in Health and Human Services at James Madison University.